Lake Ontario is called one of the 5 greats lake in North America. But What about Slovak Lake Ontario? RSI 2018 Quiz 6 mainly disclosed this Slovak Lake. The World in Slovakia Round six presents the details of Lake Ontario of Slovakia. On the occasion of 25th anniversary of establishment of Slovakia, Radio Slovakia International June quiz now available for all. You may know a lot of on Siberia of North Asia. You may also know Sibir or Siberia means ‘Sleeping Land’. But how do you know about Slovak Siberia. RSI 2018 Quiz 2 focused on Slovak Sibera. Radio Slovakia International (RSI), the international broadcasting station of independent Slovakia began broadcasting on 4 January 1993. The broadcasting house of RSI now declared a Historic Building in Slovakia. 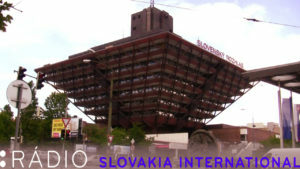 This Slovak radio building is in Bratislava. Internet based international broadcaster, RSI ceased SW long ago. Dear friends, lets welcome a new episode of RSI monthly quiz. The World in Slovakia is a new quiz series from Radio Slovakia International. As RSI said with this series we will travel to globally known places, without living Slovakia. And we the listener, without leaving Radio Slovakia International. 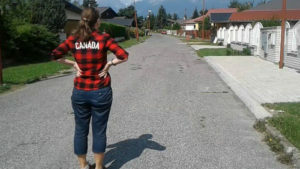 Enjoy The World in Slovakia. 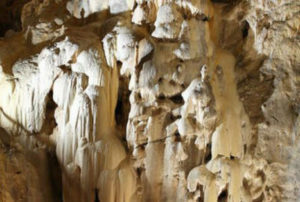 Into the My Slovakia Round 7, Mr Gavin Shoebridge try to explore the White Cave of Slovakia. He not only explore it for himself, but also disclosed it to all the RSI Listeners.